Stephen Emmerson – A never ending poem read with dice that goes on to explore the possibilities of human intervention within the context & illusion of chance. 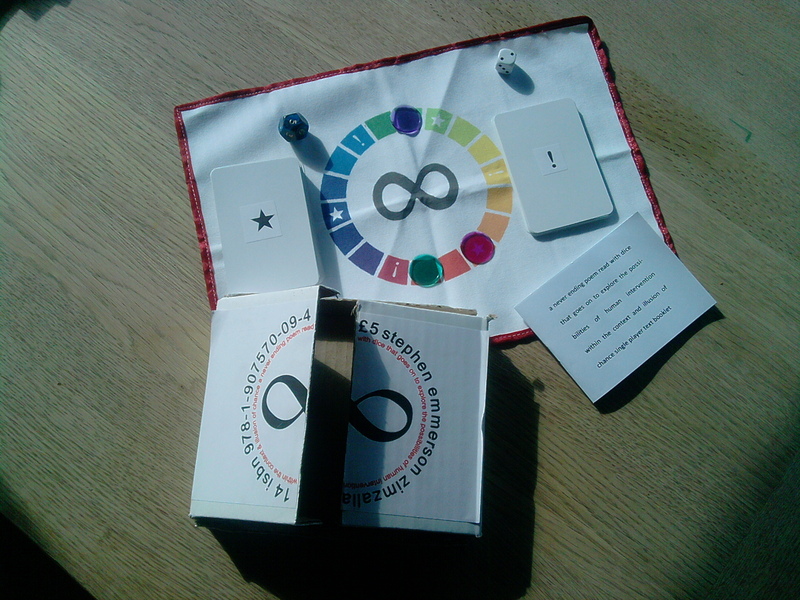 Aleatory text board games. Please email mail@zimzalla.co.uk for details.